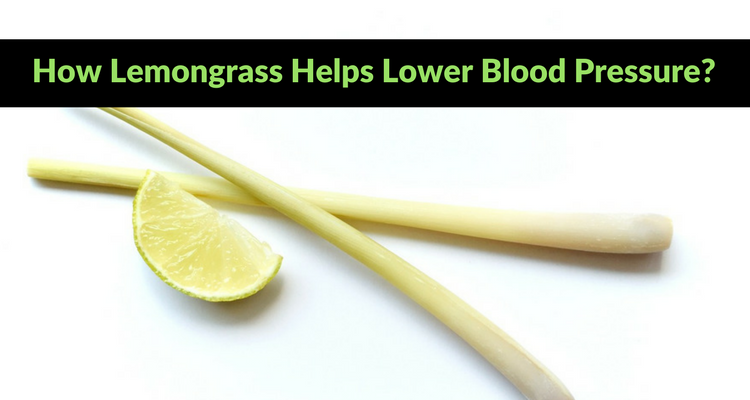 Home > Health Conditions > Blood Pressure > Is Lemongrass Good for High Blood Pressure? Is Lemongrass Good for High Blood Pressure? Lemongrass is botanically known as Cymbopogon citratus. It grows well in warm and tropical regions, and is widely used in Asian cuisine due to its flavor and citrus-like smell. But, lemongrass also has medicinal properties, and when taken with tea, it can reduce cold and cough symptoms, as well as help control high blood pressure. But how effective is lemongrass for high blood pressure? Let’s take a closer look. 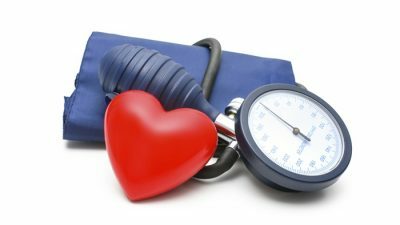 How to Use Lemongrass for High Blood Pressure? Lemongrass contains antioxidants, phenolic compounds, and flavonoids. It also contains anti-cholesterol and anti-atherosclerosis properties, which reduce the absorption of cholesterol in the intestine, keeping bad cholesterol at bay. Lemongrass helps in the oxidation of LDL cholesterol in the blood and prevents atherosclerotic plaque buildup. Lemongrass has good amounts of vitamins A and C, as well as zinc. It also has magnesium, potassium, phosphorus, calcium, and iron. The potassium content, in particular, helps regulate blood pressure. Drinking a glass of lemongrass juice in the morning helps lower high blood pressure and boost blood circulation in the body. It also helps to get rid of uric acid, harmful toxins, and fats, as it works as a diuretic to cleanse and detoxify the body. It increases the frequency and quantity of urination, which helps to flush out bad cholesterol and other toxins. To use lemongrass for high blood pressure, simply steep dried or fresh lemongrass in a cup of hot water for five to 10 minutes, then strain and add a sweetener. You can also use ready-to-use lemongrass tea bags. Or, you can simply add lemongrass to soups to reap its health benefits. Here are a few case studies which show how lemongrass helps in high blood pressure. A study published in Lipids and conducted at the Department of Nutritional Sciences, University of Wisconsin showed that consuming 140-milligram capsules of lemongrass oil daily lowered cholesterol levels and blood fats. It lowered cholesterol levels from 310 to 294 on an average. Be sure to consult your doctor before taking lemongrass supplements to reduce high blood pressure. Using lemongrass for blood pressure is effective, but you shouldn’t consume it in excess. A few studies have shown that excessive consumption of lemongrass has some side effects. An animal study conducted on rats and published in the Asian Pacific Journal of Tropical Medicine states that lemongrass oil has anti-hyperlipidemic properties. It helps maintain normal cholesterol and triglycerides serum levels. Lemongrass prevents the accumulation and blockage of lipids in the blood vessels. It also promotes the smooth and unobstructed flow of blood, which prevents cardiac disorders like atherosclerosis. A thesis presented to the Nursing Faculty of San Pedro College showed that patients who took lemongrass tea for two weeks had decreased blood pressure. The participants were given 180 milliliters of lemongrass tea every morning after breakfast. The mean pre-blood pressure reading was 153/0 mmHg, and the mean post-blood pressure reading was 141/82 mmHg, both above normal. A study conducted by the Pharmacy Department at the University of Malakand and published in Medical Forum Monthly states that excessive intake of lemongrass decreases systolic blood pressure, and slightly increases diastolic blood pressure. Lemongrass is a powerful antioxidant which keeps liver and pancreas healthy. It also keeps the cholesterol levels normal. There are many other foods that can help maintain your blood pressure in addition to lemongrass. You can easily incorporate these foods into your balanced diet as snacks. Grapes contain a chemical called resveratrol which helps lower blood pressure. Flaxseeds have high amounts of omega-3 fatty acids which help prevent cardiovascular diseases. Consuming flaxseed or flaxseed oil helps lower blood pressure in people with hypertension. Sunflower seeds are a good source of vitamins E and K. Regular consumption of these seeds also help lower blood pressure. Lemongrass has ample health benefits, and all you need is one cup of lemongrass tea in the morning to help you stay fresh and free of toxins. However, anything in excess is harmful, and lemongrass is no exception. If you are hypertensive and on medication, use lemongrass with caution as it may lower your blood pressure more than required. Be sure to consult your doctor if you want to make it a part of your daily diet. Avoid lemongrass if you are pregnant. Lemongrass is known to trigger menstruation, so it may result in miscarriage if consumed during pregnancy. Certain lifestyle changes are essential to maintaining a healthy blood pressure. You should avoid consuming high amounts of sodium, saturated fats, red meats, and sweets. In addition to consuming lemongrass for high blood pressure, you should also increase the intake of fresh fruits and green leafy vegetables, dairy, whole grain foods, fish, nuts, and poultry. Also, regular exercise will help you stay fit, and help control your blood pressure. “Lemongrass,” WebMD; http://www.webmd.com/vitamins-supplements/ingredientmono-719-lemongrass.aspx?activeingredientid=719&activeingredientname=lemongrass, last accessed May 10, 2017.